Are you looking for a garage that's more than a garage? Are you interested in garage floor plans that will allow you to accommodate multiple uses in your garage space, such as additional storage, living space or work areas? 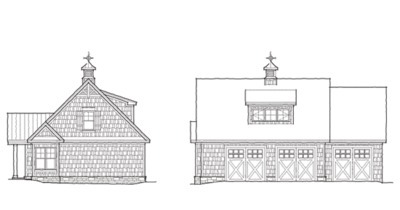 At Donald A. Gardner Architects, we understand that the modern garage no longer just holds cars and yard equipment. It has potential to hold an apartment, a loft, valuable storage and more. 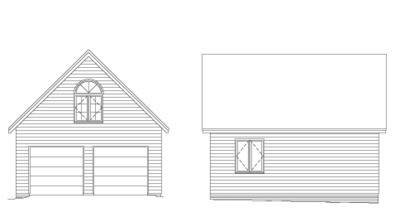 Whether you need additional living space for a relative, a home office, or just a bigger garage for today's larger cars, we can provide you with the garage plans that meet your unique needs. 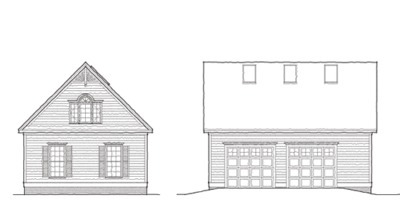 Explore our garage floor plans to find the right attached or detached garage plans for you! Our garage building plans not only include two-car garage plans, three-car garage plans, detached garage plane, garage plans with living space and garage plans with loft space, but also we offer carriage house plans and garage plans with bonus storage areas. 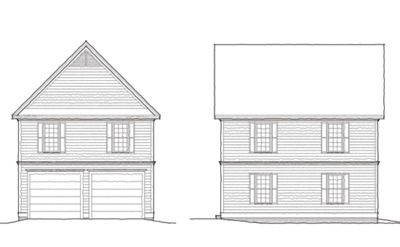 Many of our garage home plans also include well-planned living space on the second floor that contains a kitchen, bath, bedroom and living room -- creating the perfect in-law suite or garage apartment plans. 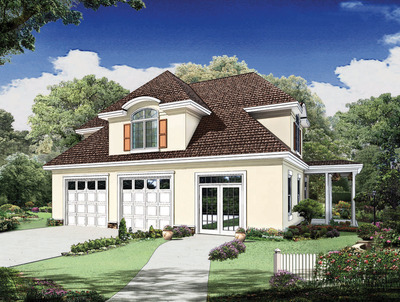 The Dempsey is a garage plan with apartment that provides a great example of multi-use space. The stylish curb appeal is pleasing to the eye and the roomy apartment above provides all the comforts of a single-family home, boasting thoughtful features such as an island kitchen, decorative ceilings and even a wet bar. 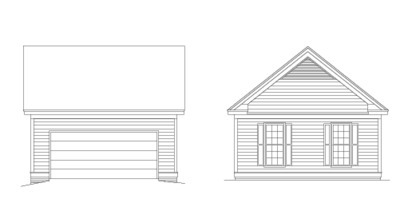 Add value and utility to your property by choosing one of our garage plans with an apartment today! To learn more, explore our online plans or get in touch with us to discuss options!